Who Invest More – Angels or VCs? With any startup company, finding investors is a major factor. Every year 20 million Americans are involved in starting or growing a young business. Many of these entrepreneurs seek capital from investors – either Angel Investors or Venture Capitalists. Angels in the US invest a total of about $20 billion a year in around 60,000 businesses. Venture Capitalists invest about $30 billion a year in about 4,000 businesses. 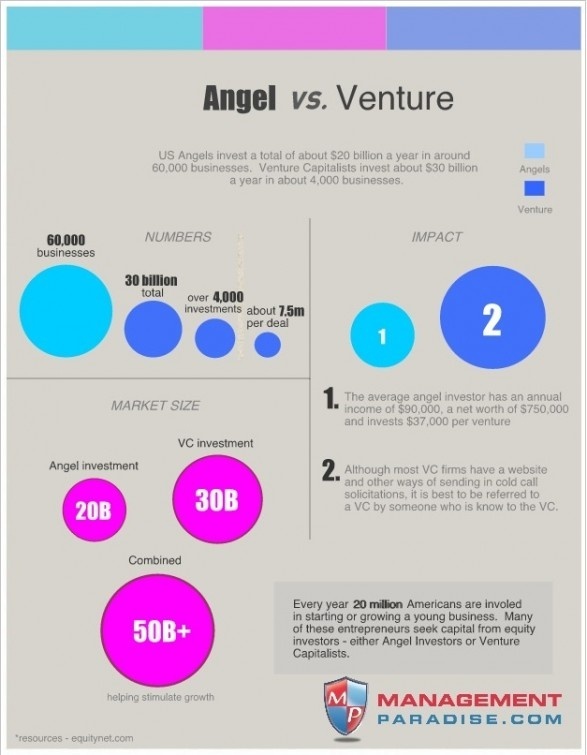 The following infographic by Management Paradise gives a greater look on the differences between Angel investors and Venture Capitalists.